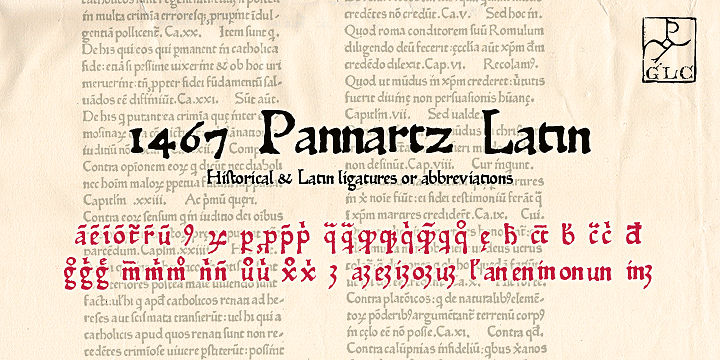 This 1467 Pannartz Latin was among the very few Roman style fonts which surfaces before the era of Jenson’s Pattern in 1470. Konrad Sweynheym and Arnold Pannartz were the fathers of this font who printed this font on the famous edition of De Civitate Dei. Having incorporated all the Latin abbreviations and ligatures about 54 of them is considered a very complete fit. It can very well be mingled with others of its kind for different forms like Italic, Initials, venetian, etc.